At the top of our land, runs a footpath. Generally this is a positive thing, as most people are friendly and nice. But in the past we have had issues with dog walkers dogs attacking chickens or just running onto our land and juumping up on the children. It seems very few read the "keep your dog on a lead" sign. So a number of years ago (2014) I planted a hedge across the top to give a wide access to a tractor but to also separate the footpath off. This has given us loads more privacy and made things much better. Like all good jobs though, I hadn't finished it! The one bit missing was some gates. Although I'm glad I didn't do this straight away. My first idea was a pair of 10ft gates to separate it off to give 20ft clear. After using the opening for a number of years it's obvious that this was never going to be big enough. So instead we got two 14ft gates to give an opening of 28ft. 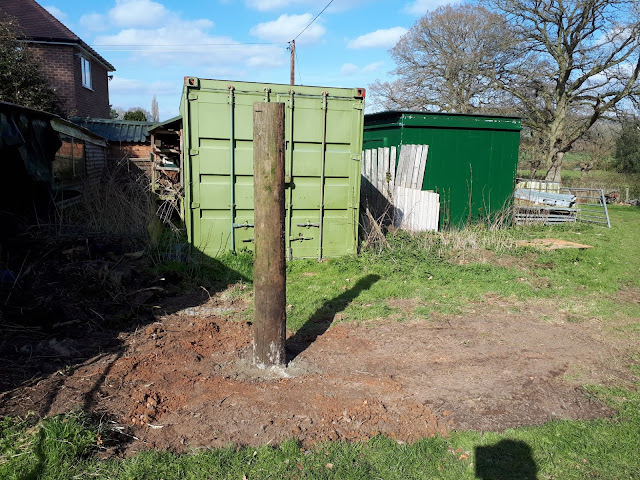 So last week the job was to fit a new gate post to the one side, hang the gates and do a bit of fencing. Lucky for me my amazing neighbour has a post hole auger on his tractor so it made short work of digging the hole a full 3 1/2ft deep! 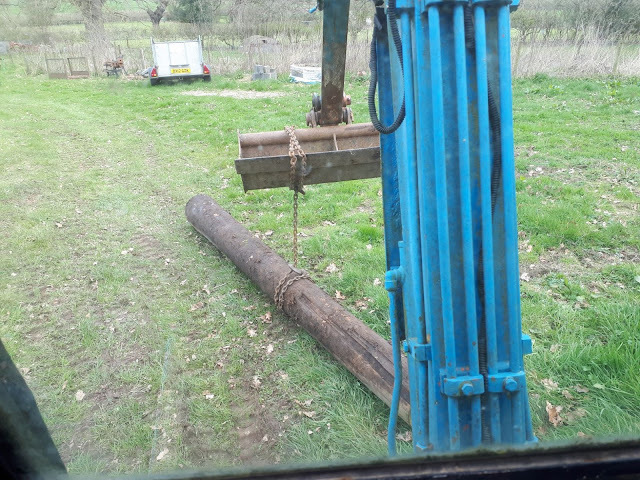 And with the digger I could easily sling in the huge fence post from a recycled telegraph pole. When the concrete round the post had gone off it was time to hang the gate. The first was already swinging so it was a case of propping the one up to the other to make sure they met right in the middle. I then fenced off the last bit to the shed to make it look tidy. I was really pleased with how it changed the feel of the place straight away. 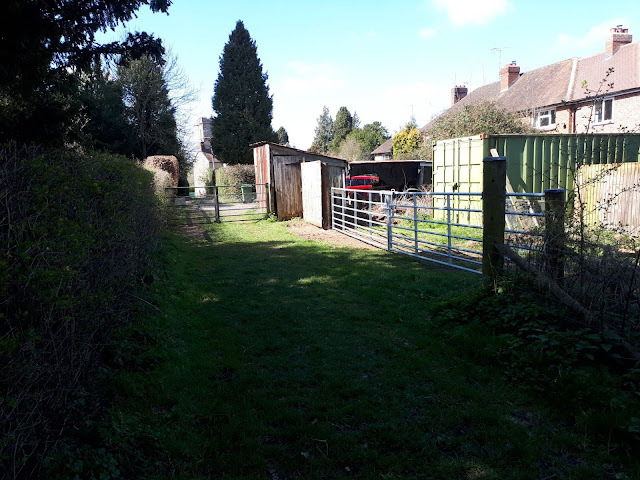 I still need to mesh the bottom of the fence to stop dogs getting through but it's already a he improvement as it shows very clearly where you should stick on the footpath. 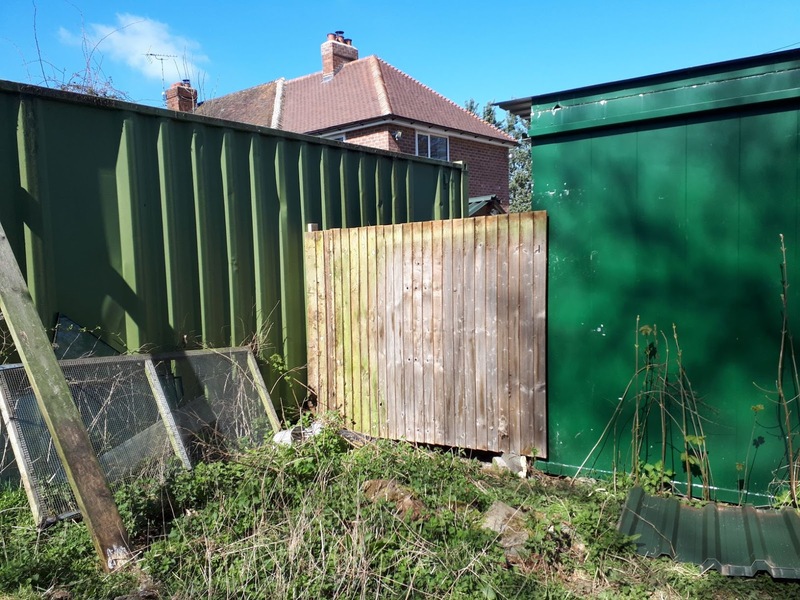 As I was keen I also fenced between my container and workshop to make this area more private as well. There was so wood there before but every bit of windy weather and it would blow over! It's funny, this is a job that has been hanging over me for quite some time and now it's done it feels like a huge weight off my shoulders. Really pleased to have it done and looking relatively smart. 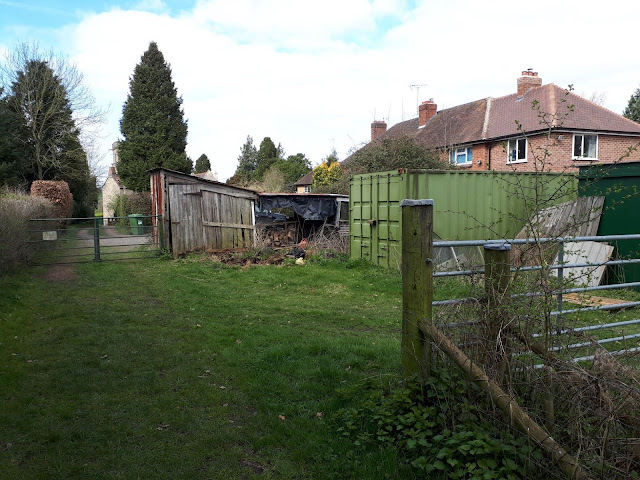 I want to convert the old tin shacks into a garage in the future and develop this area further but funds aren't there at the moment, so for now it'll stay as a leaky wood shed for our fire wood. Who else has done some infrastructure work lately? Who else puts off hanging gates and makes do with string (my childhood right there!)? We are! It's nice to know we're not alone with so many projects needing finishing. I think that's just the way of things. And you're right, things like that really change the feel of the place. I have to say I'm amazed at the length of that gate! I don't think I've ever seen one that wide. Very nicely don't though. It's two gates! No way could I get a post strong enough for that monster if it was just one gate! 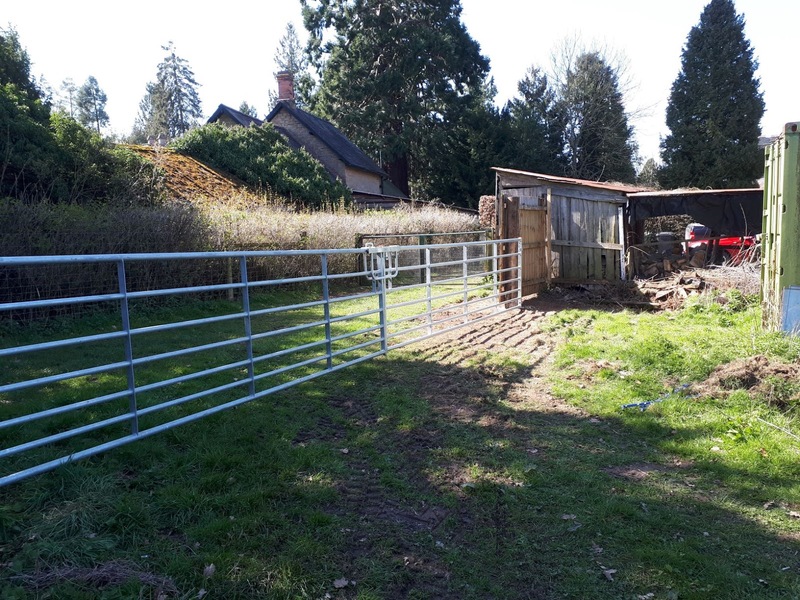 Two 14ft gates to take up the 28ft space. 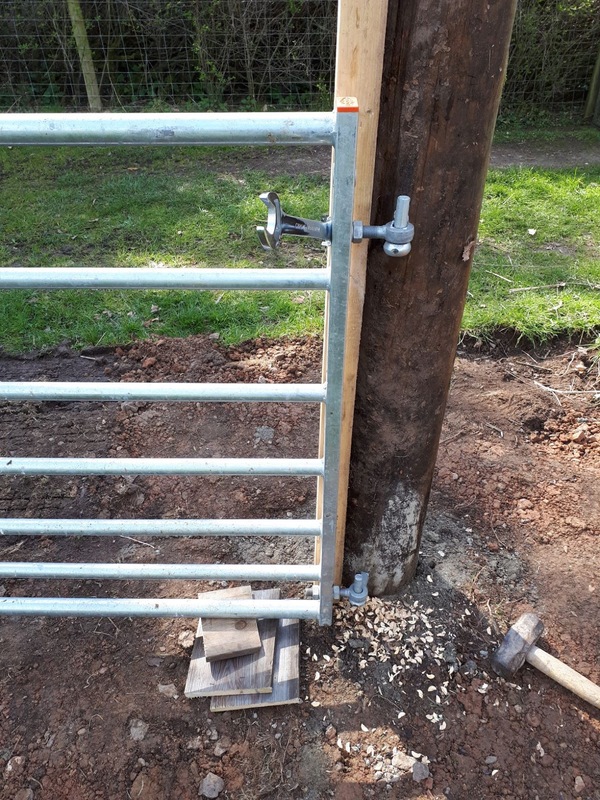 One more gate project yet to make the back separate, make it harder to have people just wonder around then! We had trees taken down two years ago, and then the stumps were ground. The stump grinder had caterpillar tracks which tore up the brick patio. Last year my husband re-made part of it but the weather got too hot and the project was left for another time. Mainly it is just not flat, especially at the far end. We are not old, but we don't do much manual work so it is quite a daunting prospect. I, for one, don't want to move a pile of sand again! Repair jobs are even worse than new jobs in my mind! So I'm with you guys - doubt I would have had it done either! Gosh Kev, what a fantastic job you've done! Very satisfying. Feels really good to have it done, waited so long, but glad I did as now I know it's the right size! Would love to see a pic of the gates open for access to your property. How far in do they swing? Or do they swing out? Nice job, Kev. The one swings both ways but will hold back flush against the fence. The other one (nearest the green gate) only swings to about 45 degrees then hits the container. Metal sheds are horrible things aren't they? wait until it starts sweating as well and drips on everything you have in there! I'd love to have ten years worth of wood! As it stands I think we have next years sorted and I have a tree in mind to make the year afters! I'd probably sell some as well as things are tight! And I have to make a few purchases next month that aren't going to be small! Neat and tidy and very well done. I’m fussy about gates, they have to be sturdy above all, and yours fits the bill. The footpath is charming, it must make an interesting walk behind the houses. The footpath is annoying as well unfortunately, people just let their dogs run off leads all the time and it does my head in! The gates are sturdy and should last me out hopefully - not sure whether the posts will or not though!